The state of Tamil Nadu, located in southern India, has a rich cultural history which goes back as many as 4,000 years. During your tour to this state, you'll come across the country's most renowned temples and heritage sites. Music, dance forms and folk arts have earned the state worldwide popularity. But Tamil Nadu has a lot more to offer for travellers and tourists who arrive here. There are many beautiful hill stations and wildlife-rich national parks that Tamil Nadu can boast of. If you are a photographer, the state offers multiple places of heart-stirring scenic beauty. Chennai (previously Madras) is the capital city of the state. Other major cities of Tamil Nadu include Coimbatore, Madurai, Tiruchirappalli, Erode, Salem, Vellore etc. If you are planning an escape to hills, the state has such popular and picturesque hill stations as Ooty and Kodaikanal. Temple towns like Mamallapuram, Kanchipuram, Madurai and Thanjavur are truly worth a visit. Pongal, which is a celebration of the harvest time, is the most popular festival in the state. Tamil Nadu is also a great place for those who want to relish southern Indian delicacies. At Max Holidays, we provide you with an array of well-crafted tour packages. Each of the tour packages that we offer promises a rich travel experience. Depending on what you want to see and what you want to do, you can choose a tour package which suits you best. Also, Tamil Nadu is counted among the safest travel destinations in India. Our expert travel guides are always with you to enhance your knowledge and equip you with interesting travel titbits. Look for a tour package that you like most and if you think you want something more, just let us know about it. Our travel consultants will happily tailor-make a tour package according to your specific needs. We always strive to provide you with a fantastic and memorable travel experience. 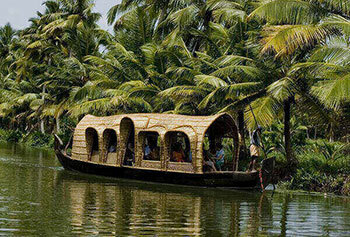 Travelling to the southern India is an altogether different experience from travelling to the norther part. 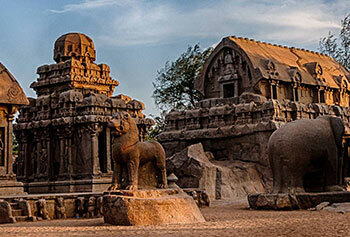 "Tamil Nadu has very exclusive temples and our tour program made by Max Holidays included the major temples. The Sea Shore temple of Mahabalipuram is a must visit, one of the ancient temples. We really appreciate the drivers driving skills, hotels were fantastic. I must say Max Holidays work very hard to make their customer fully satisfied"
"Max Holidays organised 17 days trip for us to Tamil Nadu, from the first email sent to them till the departure from Trivandrum everything went very smooth and highly professional. The experience of the private AC houseboat was splendid. We did fishing also at the backwaters and had that fish cooked onboard. Thanks Max Team for such a mind-blowing vacation." "This trip gave a commenced satisfaction as it had all I desired a visit to various temples Tirupati, Mahabalipuram, Pondicherry, etc. It was an amazing trip in the beauty had a sense of calmness in my soul. The arrangements were so flawless that I had to focus on only enjoying my trip. A delightful journey with Max!"